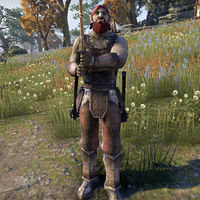 Agnar is an Orc fisher who can be found at Alcaire Castle. You can find him fishing in the river below the falls across from the mages guild. This page was last modified on 29 May 2018, at 01:35.